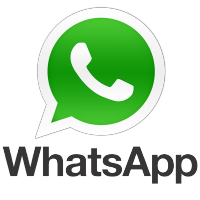 WhatsApp is beta testing letting users in India send money to each other through the app. The feature isn’t available to everyone yet, but here’s what it looks like once you have it. Tapping “Payment” lets users enter an amount and zap it to anyone they’re chatting with on WhatsApp, as long as the other person has payments enabled too. The feature works on a system called Unified Payments Interface, an Indian government-backed technology that lets users transfer money directly into each other’s bank accounts using just their mobile numbers, or a bank-issued payment ID that looks like an email address.